Please refer to our stock # SR4634 when inquiring. 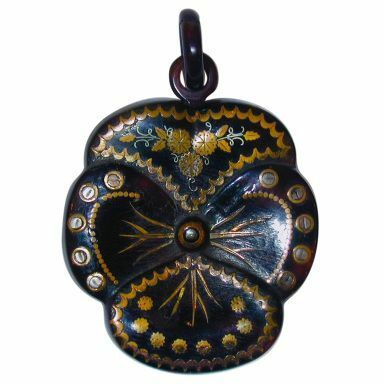 Lovely pique pansy pendant can be worn with a gold or silver chain. Pique, tortoiseshell inlaid with gold and silver, was developed in France and became popular in England in the late 19th century.